Banana yarn can be found generally in the form of a rustic chunky yarn, ideal for bags and mats. We have sourced fine boucle laceweight and 4ply versions which are ideal to knit, crochet, or weave into beautiful garments. 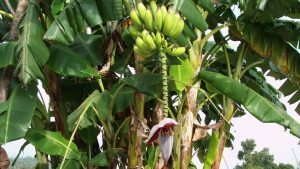 Also known as vegan silk, this natural fiber yarn is made from the trunk of the banana tree. It is soft and lightweight with a beautiful sheen and drape, making it ideal for next-to-skin summer garments. 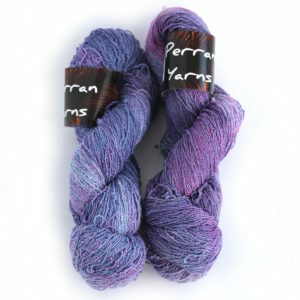 The yarn feels similar to cotton to knit with and wear, and can be gently handwashed in cool water then allowed to dry flat to preserve the yarn quality and colour. 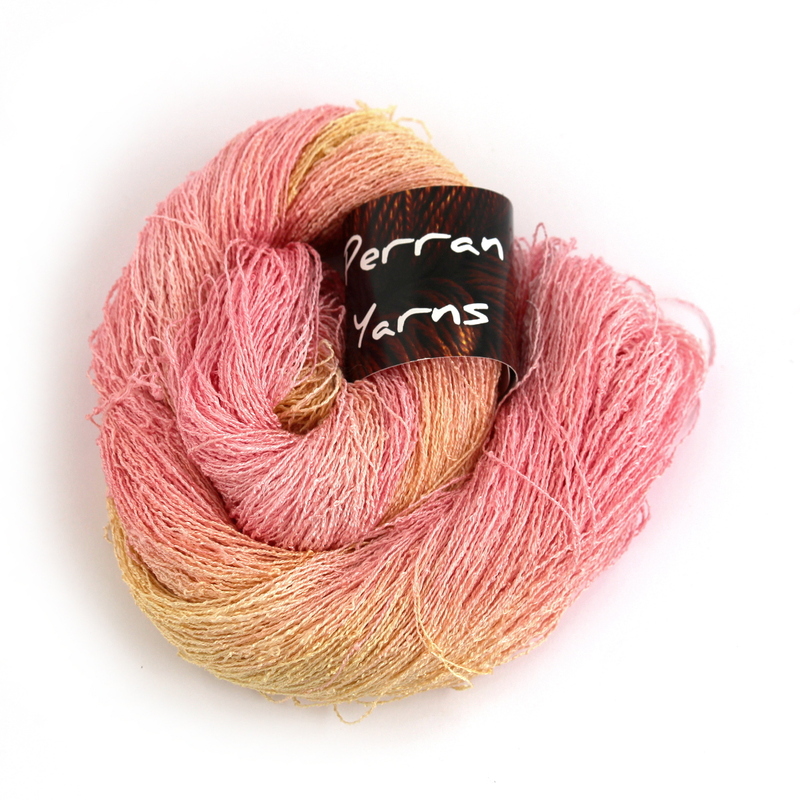 We use Jacquard Procion MX dyes for our banana yarn colourways, with a cold-set method which takes longer but gives stunning results. 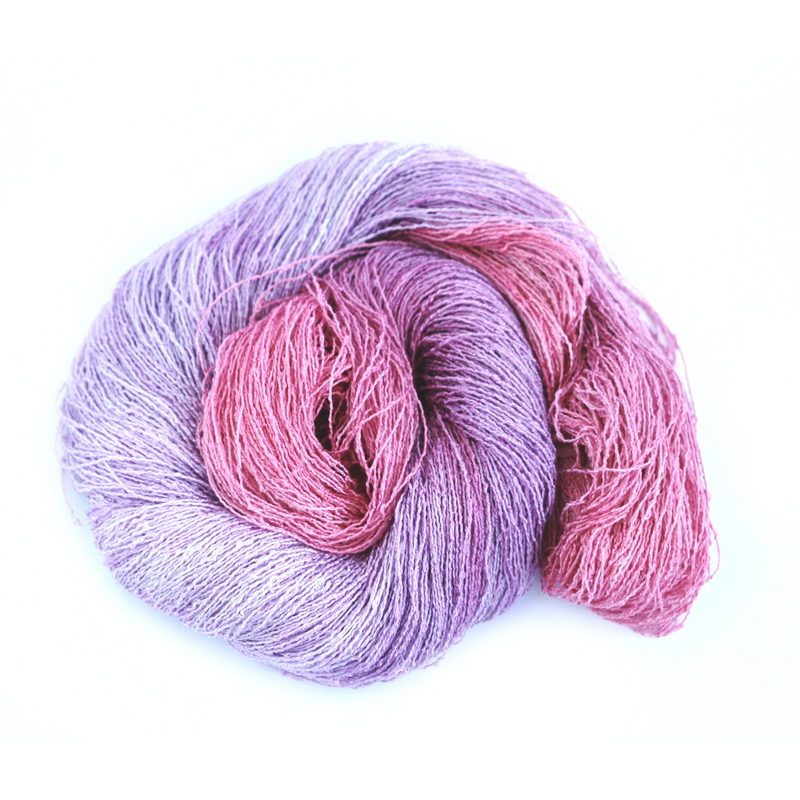 The laceweight version has amazing yardage providing great value for money; a single 100 gram skein provides 1000 yards of yarn! 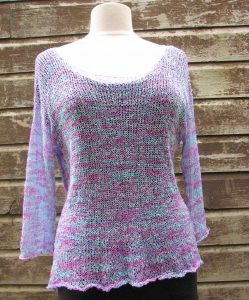 The UK size 10 tunic top pictured is knitted from just 1 skein of this yarn, using 4.5mm or bigger needles for the lacy look shown. We recommend using bamboo/wooden needles to give light control over your stitches whilst knitting this fine silky yarn. 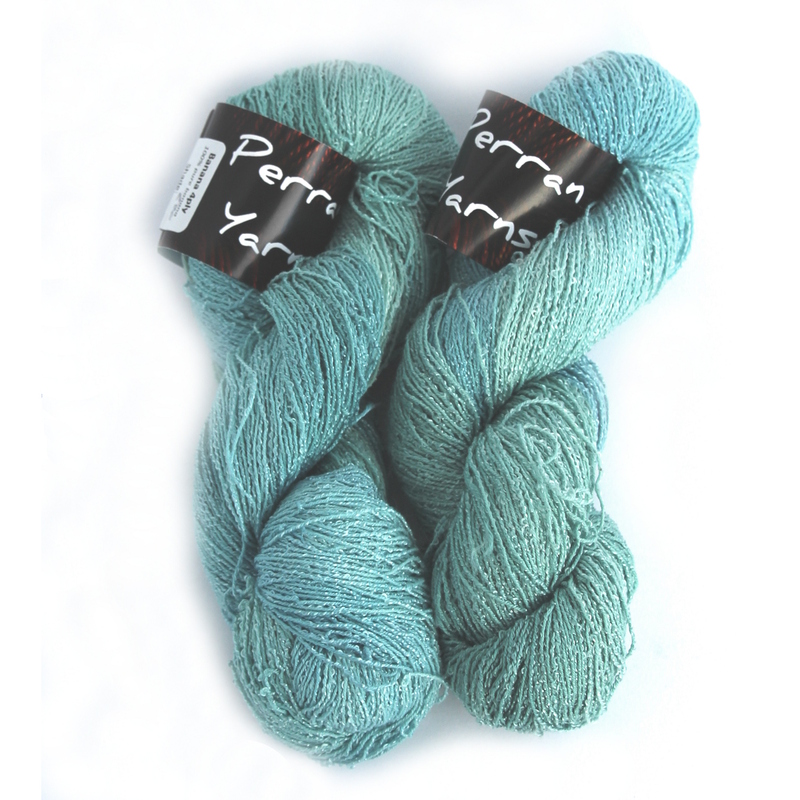 The 4ply version has 400 metres per 100 gram skein, and we have designed an easy one-skein knitted scarf pattern which is free with this yarn. 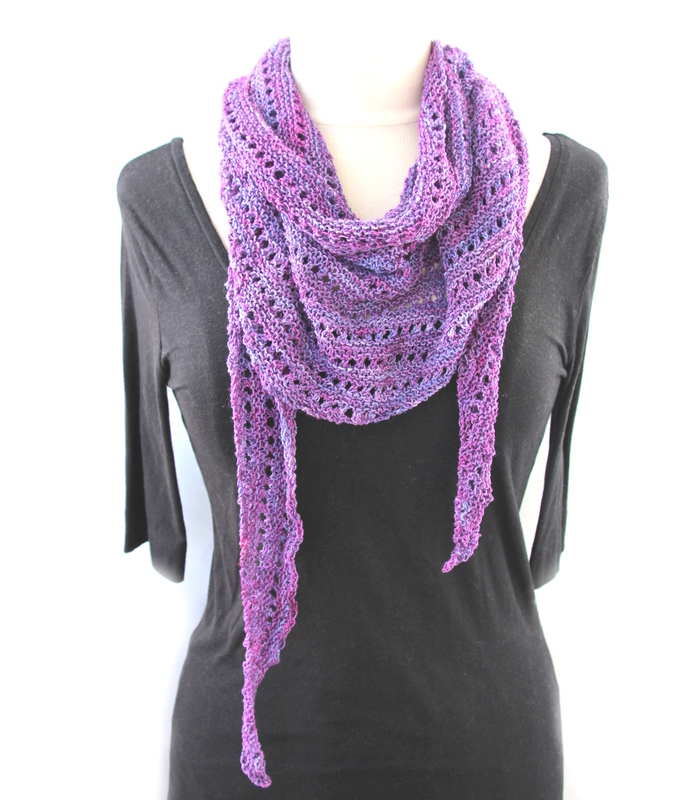 The ‘Lean-To’ Scarf is an asymetrical scarf knitted in garter stitch with eyelet rows. 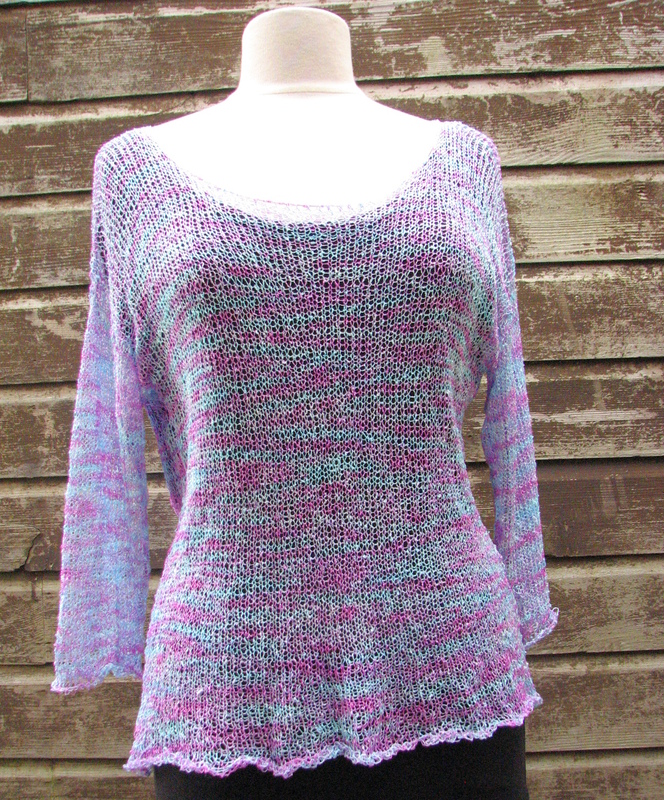 One skein of this yarn goes a long way!